Welcome to the HABIT page for people living with Mild Cognitive Impairment (MCI) and program participants. The HABIT Program is for individuals with MCI and their loved ones to learn the best strategies for adapting, coping, and living their best lives with MCI. Follow the HABIT page to receive updates and information about adjusting to MCI and combating dementia. Our goal is to connect you with others and provide you with information and support. This week in the blog, we wanted to highlight a patient story—a story of a couple who are graduates of our HABIT Healthy Action to Benefit Independence and Thinking ® program for patients diagnosed with Mild Cognitive Impairment. I have the honor of sharing the story of John and Ann and had the pleasure of working with them in our HABIT program. John is a retired diplomat and met Ann, who is originally from Ireland, when he was there for his work. John has a constant twinkle in his eye, so I just can’t help but smile when I see him. They love ballroom dancing and opera, and John assures me that Ann is the best cook in Arizona. Despite this somewhat lukewarm beginning, John and Ann fully committed to the HABIT program. In addition to MCI, John also has some vision impairment that impacted him. He uses a magnifying glass for written tasks, and a cane to ensure his balance in case he does not see the landscape well. 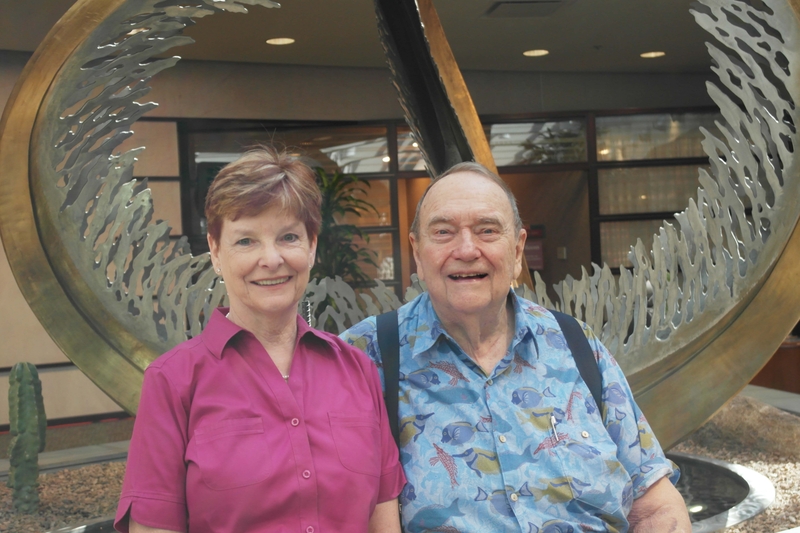 John and Ann drove 44 miles each way each day to come to Mayo Clinic for HABIT. They put their trust in me. John and Ann quickly began to see the benefits of the HABIT techniques and strategies. Despite his vision impairment, John eagerly began writing his schedule in his Memory Support System. Ann was a loving but firm partner who referred John to his memory book rather than providing the answers. John had one day during the HABIT program where he was feeling tired and quite fuzzy. It was clear to me and Ann that this was the case. John came back the next day saying he was glad he’d had a fuzzy day during HABIT—it gave him confidence these techniques could help him, even on the days he wasn’t feeling as good. John quickly found confidence in knowing what was coming in his schedule, and Ann was quickly grateful that she was no longer “answering all the questions.” Both were very active in their support groups, sharing their own challenges and concerns, but also supporting their peers. They were yoga pros, thanks to John’s exercise classes for his cardiac health program at the local VA, and helped other HABIT participants feel comfortable with the new experience. Brain fitness is a computerized cognitive activity we do in HABIT. It can be a challenge, especially with his vision loss, but he was there and worked hard. Every. Single. Day. John and Ann turned out to be star pupils, to the point that I asked if they might join me in being interviewed by our local NPR radio station, KJZZ. Carrie Jung at KJZZ produced this story about HABIT including John and Ann’s experience. I especially like this video where John shares that his memory support system relieves the pressure of having to remember everything. I share this story of John and Ann because I’m proud of them, like I am of so many of our alumni. I was honored to work with them and humbled that they put their trust in me. But I also share this story to show that partnerships do not have to come to HABIT 100% sure. Many of our patients have doubts, uncertainties, and fears, but John and Ann were willing to trust us and do the work we asked them to do. I’m sure John and Ann have their good days and bad days just like the rest of us and the rest of our alumni. And, John would be the first to tell you we have not cured his MCI. Some days, I’m sure they do not keep with their exercise routine or their cognitive exercise plan or the memory support system. But, they are keeping with their habits more often than not, and as I will see them for booster sessions their first year of after HABIT. Oh, how happy you look together! My husband and I were in the First Habit Program under Dr. Melanie Chandler, Dr. Graff-Radford, Francine Parfitt, Michelle Graff-Radford, plus others in their Team. We are so grateful we were chosen to be in that wonderful program of Mayo-Jacksonville. Somehow I remember the relaxation exercises but do not remember us dancing? And, my husband and I loved to dance together. Now, for balance reasons I am to learn to do the TANGO! Have not learned the steps yet, but love the music and romance of it. Looking forward to doing the TANGO with my husband leading me and holding me up! Grateful to all of the TEAM and that the program is funded again for all of us to CELEBRATE! Habit Couples I feel are special because they want to know how their husbands and wives are feeling and thinking so that ROMANCE CONTINUES! Also, you will love the Humanities and Art, Music, and DANCING! Makes me want to do it again, but I would dance for days to not do the computer part. 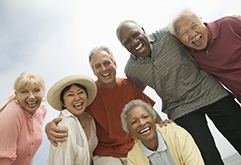 Send an email to invite people you know to join the Living with Mild Cognitive Impairment (MCI) page.